Omadacycline (Nuzyra) is a new tetracycline antibiotic approved by the FDA in late 2018. In this article four infectious diseases pharmacists review 5 things to know about omadacycline. Omadacycline (Nuzyra), the newest aminomethylcycline in the tetracycline class, recently received FDA approval for community-acquired bacterial pneumonia (CABP) and acute bacterial skin and skin structure infections (ABSSSI). Barber KE et al. Omadacycline Enters the Ring: A New Antimicrobial Contender. Pharmacotherapy. 2018. 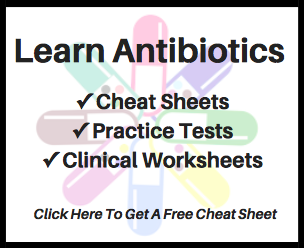 While omadacycline may seem like another “me too” tetracycline at first glance, it actually has several unique characteristics that set it apart from other antibiotics in its class. In an effort to assist others in identifying some of these characteristics, we developed the following, reflecting upon our experience developing our recent Pharmacotherapy article. Omadacycline is available in both IV and oral formulations. The oral formulation is available as a 150 mg tablet and the IV formulation is available as a 100 mg solution for injection. The dosing recommendations are similar for the two FDA approved indications, CABP and ABSSSI. In clinical trials, dosing strategies that allowed for IV to PO switch were evaluated. Based on the results of these studies, an IV loading dose is recommended on day one, followed by a maintenance dose for the remainder of the treatment course. The recommended dosing strategy for CABP and ABSSSI is 200 mg IV on day one, followed by 100 mg IV daily or 300 mg PO daily. The 200 mg loading dose can either be given as 200 mg IV over 60 minutes or 100 mg twice over 30 minutes. For treatment of ABSSSI where no IV omadacycline will be utilized, a loading dose of 450 mg PO daily is recommended for days one and two, followed by 300 mg PO daily thereafter. In contrast to the older tetracyclines, omadacycline can be given once daily, which may improve adherence. In addition, there is no dose adjustment required for renal or hepatic impairment. It does have some similarities to the older tetracyclines with regards to administration. The oral tablet should be taken on an empty stomach and dairy products, antacids, and multivitamins should be separated by 4 hours. The pricing of the IV and oral formulations are not known at this time, but will be released by Paratek in the next few weeks. Omadacycline displays broad-spectrum activity covering many gram-positive, gram-negative, anaerobic, and atypical organisms. It provides coverage against S. aureus, including MRSA, and Streptococci making this a potential option for skin and skin structure infections. Additionally, it covers common community-acquired pneumonia pathogens such as S. pneumoniae, M. catarrhalis, and H. influenzae. Omadacycline may be active against multidrug-resistant organisms including vancomycin-resistant enterococci (VRE), Acinetobacter, Stenotrophomonas, and Enterobacteriaceae producing extended-spectrum beta-lactamases (ESBL). In an ever present world faced with increasing resistance, the tetracyclines have not been spared. However, omadacycline remains active even against bacteria that are resistant to other tetracyclines. Additionally, in patients exposed to omadacycline in clinical trials, no cases of resistance development while on therapy were reported. 4. But how well does it work? Three phase-III clinical trials have been completed with omadacycline. In the Omadacycline for Pneumonia Treatment In the Community (OPTIC) study, omadacycline was non-inferior moxifloxacin for CABP (early clinical response of 81.1% versus 82.7%, respectively). Additionally, omadacycline had similar rates of success against atypical pathogens, gram-negative bacteria, and S. pneumoniae as moxifloxacin. In the Omadacycline in Acute Skin and Skin Infectious Study (OASIS) and OASIS-2, omadacycline was compared to linezolid for the treatment of ABSSSI. In OASIS, patients received IV therapy of either arm for at least 2 doses, with the option to continue IV or switch to oral. Omadacycline performed similarly to linezolid at early clinical response (84.8% vs. 85.8%) and was deemed non-inferior. Omadacycline had lower rates of success compared to linezolid against S. pyogenes (72.7% vs. 88.9%, respectively), but was similar for S. aureus, S. anginosis, and E. faecalis. In OASIS-2, patients received oral therapy of either arm for 7-14 days. Omadacycline performed similarly to linezolid at early clinical response (87.5% vs. 82.5%), and had high rates of clinical success against gram-positive pathogens. The adverse events of omadacycline were tabulated through three different Phase-3 trials: OPTIC, OASIS, and OASIS-2. Most of the adverse events caused by omadacycline are GI related: nausea, vomiting and diarrhea. However, these events were classified as either mild or moderate. It is important to not counsel patients to take omadacycline with food to offset the GI effects, because its efficacy will decrease. Interestingly, there were no reported cases of Clostridioides difficile infection in patients treated with omadacycline in any of the trials! Omadacycline retains its safety and tolerability in patients with poor renal function (CKD stages 0-3 and ESRD) and in patients with high BMI with no dosage adjustments required. Additionally, there was minimal impact on LFTs or QTc prolongation with standard omadacycline dosing. Overall, the GI upset is similar to other tetracyclines, but the biggest benefit is that there were no reported cases of C. difficile throughout any of the Phase 3 trials! Disclosures: Dr. Barber has served on an advisory board for Paratek Pharmaceuticals (the maker of omadacycline). The other authors report nothing to disclose. Dr. Katie Barber is an Assistant Assistant Professor in the Department of Pharmacy Practice at the University of Mississippi School of Pharmacy in Jackson, Mississippi. She also maintains a practice site in infectious diseases at the University of Mississippi Medical Center. Dr. Barber received her Doctor of Pharmacy degree from South Carolina College of Pharmacy in 2010. She completed a PGY-1 Pharmacy Practice Residency in 2011 at LSU Health Sciences Center, a PGY-2 Infectious Diseases Residency in 2012, and a 2-year Infectious Diseases Pharmacokinetic/ Pharmacodynamic Fellowship in 2014 at Detroit Medical Center and Wayne State University. Her research interests include the overcoming resistance emergence, patients with altered pharmacokinetics/pharmacodynamics, and antimicrobial stewardship metrics. You can find her on Twitter @IDKatieBarb. Dr. Jamie Wagner is a Clinical Assistant Professor in the Department of Pharmacy Practice at the University of Mississippi School of Pharmacy in Jackson, Mississippi. She also maintains a practice site in internal medicine at the University of Mississippi Medical Center. Dr. Wagner received her Doctor of Pharmacy degree from Midwestern University Chicago College of Pharmacy in 2012. She completed a PGY-1 Pharmacy Practice Residency in 2013 and a 2-year Infectious Diseases Pharmacotherapy Outcomes Fellowship in 2015 at Henry Ford Hospital and Wayne State University. She also earned a Graduate Certificate in Public Health from Wayne State University School of Medicine. Her research interests include the epidemiology and management of gram-negative infections, antimicrobial stewardship metrics, and improving inpatient management of HIV-infected patients. You can find her on Twitter @jwagsIDPharmD. Mary Joyce B. Wingler is an antimicrobial stewardship pharmacist at the University of Mississippi Medical Center in Jackson, Mississippi. Dr. Wingler received a bachelor’s degree in Biomedical Sciences from Auburn University in 2012 and her doctor of pharmacy degree at Auburn University’s Harrison School of Pharmacy in 2016. She then completed his PGY-1 Pharmacy Practice Residency at East Alabama Medical Center in Opelika, AL followed by a PGY-2 Infectious Diseases Residency at the University of Mississippi Medical Center in Jackson, MS.
You can find her on Twitter @mjwingler. Kayla Stover is an Associate Professor in the Department of Pharmacy Practice at the University of Mississippi School of Pharmacy in Jackson, Mississippi and an affiliated faculty in the Department of Medicine-Infectious Diseases and the Department of Pharmacology at the University of Mississippi Medical Center. She also maintains a practice site in infectious diseases and was a founding member of the antimicrobial stewardship program at the University of Mississippi Medical Center. Dr. Stover has been the Infectious Diseases Residency Program Director since 2012. Dr. Stover received her Doctor of Pharmacy degree from Ohio Northern University in 2007, completed her PGY-1 Pharmacy Practice Residency at West Virginia University Hospitals in 2008, and her PGY-2 Infectious Diseases Residency at the University of Mississippi Medical Center in 2009. She was named as a Fellow of both the American College of Clinical Pharmacy and the Infectious Diseases Society of America in 2017. Areas of research interest include antifungal pharmacotherapy and safety, antimicrobial stewardship,and resistance. You can find her on Twitter @stoverkr.